A few days back, Kareena Kapoor’s pregnancy rumours had been doing the rounds, but the actress was very cryptic about the whole matter. 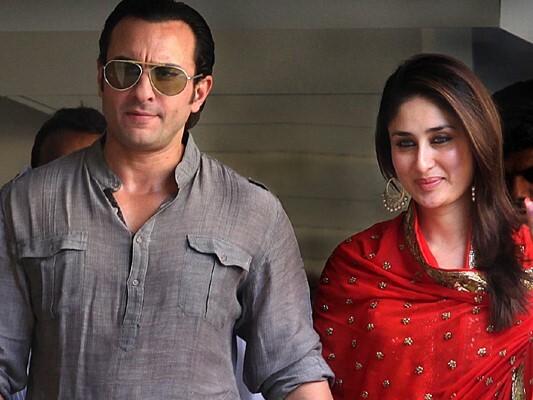 But finally, Saif Ali Khan and Kareena have confirmed that they are expecting their first child this December. My wife and I would like to announce that we are expecting our first child in December. We would like to thank our well wishers for their blessings and support and also the press for their discretion and patience. It seems that the couple was only looking for an appropriate time to announce the news publicly. Does this mean the couple must have been in two minds about the new addition to the family? Anyways! It is going to be a happy day for both the Kapoor and Khan clans!